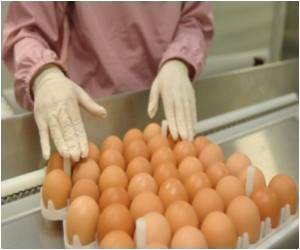 Food safety watchdog in Shanghai has launched a probe over the "rubber eggs" that has hit the markets across China. The eggs contain hard yolks which bounce like rubber after being boiled. FSA has issued a statement saying that store-bought eggs can be safely consumed within a day or two after the expiry date, provided they are cooked thoroughly.